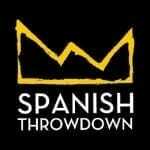 Spanish Throwdown is the most international functional and lifting competition in Spain, based on tradition and community spirit. Aspiring to have the best Crossfit event in Southern Europe for everyone, providing a unique experience with tough workouts. Spanish Throwdown and Weightlifting Face to Face, will take place at the “La Ciudad de la Raqueta” stadium. The best 39 + 1 male rx, 23 + 1 female rx, 16 teams, 16 master> 35 male, 8 master> 8 female, the 8 master> 40 male, 24 male Rock climbing and 16 female climbs, will have the right to face the classification, which will take place in Madrid in the month of September.